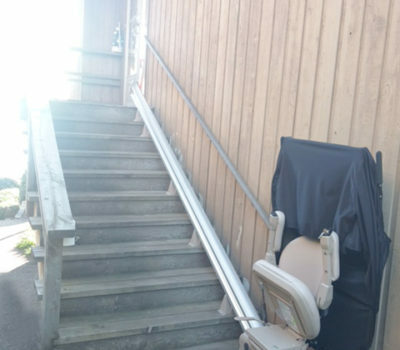 Outdoor Stairlift was installed in West Vancouver, built to safely transport residents up and down the stairs and into their home. When not in use, the chair can be folded up to maximize space and chair cover keeps the chair dry from the rain. Safe cable management is in place to ensure that cables are kept neat and organized.